Sign up for a Stallion Camp (or two!). Our camps are a great way to meet new friends while improving your skills, whether it is in the classroom or on the athletic filed. Check out the camps taking place this summer at SFDHS! We are offering four new camps this summer: Hand Built Ceramics, Photoshop / Graphic Design, Get Psyched, Middle School Math Tuneup and SHINE: Art & Yoga. Our instructors will keep you engaged, and foster an atmosphere to strengthen your creative talents. We are also hosting 17 sports camps! This is your opportunity to learn from coaches and athletes who have been a part of Championship teams! Find out when your favorite sport or enrichment camp is taking place this summer in our registration brochure below. All four day Athletic Camps are $75. 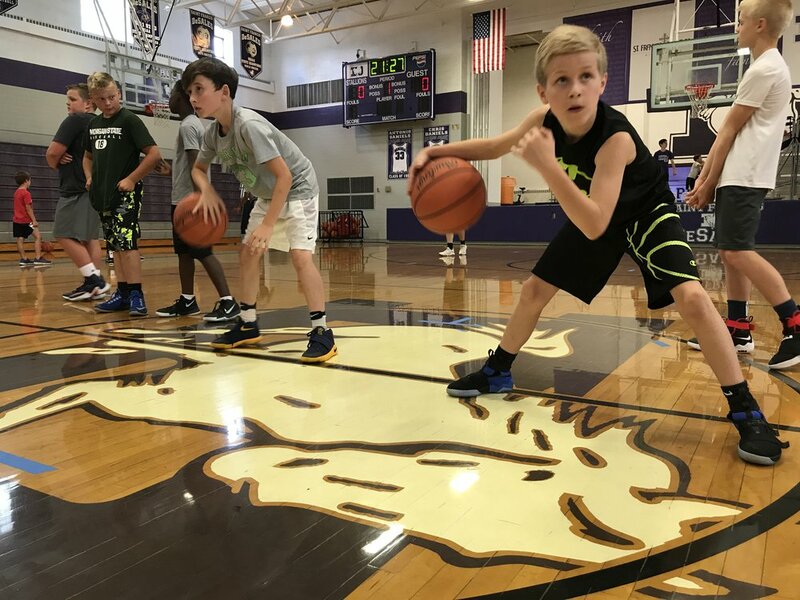 The Stallion basketball camp is a great opportunity to meet and learn from the current coaches and players, as well as increase your overall basketball skill level and knowledge of the game. Not only will our coaching staff help improve your game individually, we will also introduce you to many of the concepts we teach our very own varsity team. Campers will also compete in a multitude of competitions including Dribble Knockout, Speed Lay-Up, Free Throw, Hot Shot, 1-on-1, 3-on-3, and 5-on-5 tournaments! 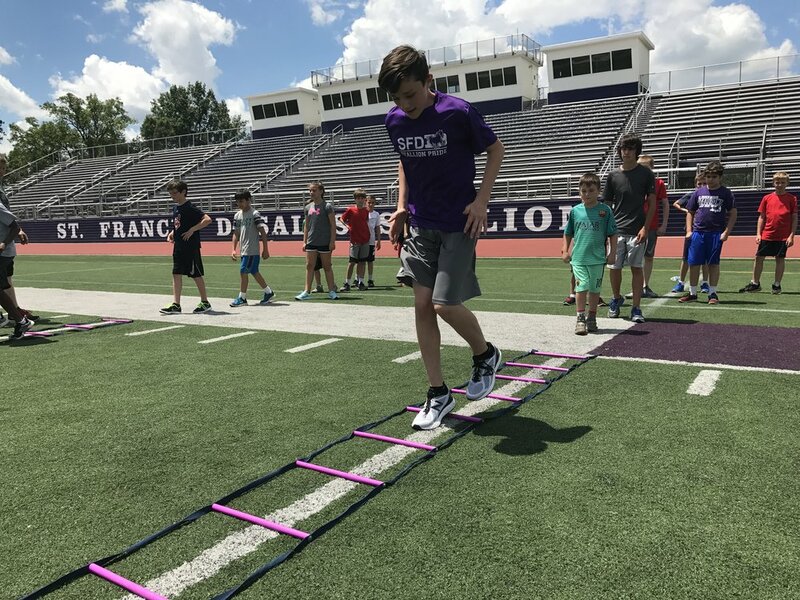 Our Cross Country & Endurance (Distance and Cross Country) camp focuses on building the complete runner. That focus includes training runs, work on dynamic drills, understanding the different types of workouts, and plenty more. You will spend time training with our Track & Field Distance and Cross Country runners. Come spend a week with the coaching staff and players of St. Francis DeSales. Campers will be instructed on basic fundamentals of offense, defense, and special teams by position. "Heads up tackling" and other safety techniques will be emphasized. They will also participate in games, competitions, as well as a Stallion Football league. Attendees will receive a highlight video of the SFD Stallion Football Season, a t-shirt, and a Rib Dinner! Come join the finest football camp experience in Central Ohio.